Poets and artists have had it. Leaders and teachers have had it. Normal and extraordinary people have had it. For all I know, even educated fleas have had it. 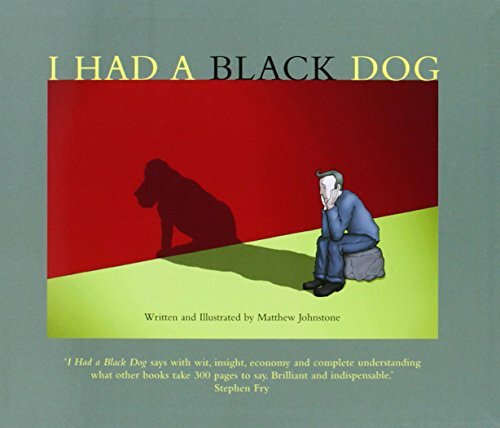 All kinds of stats get flung around about the black dog (1 in 4 so they say??) but who knows? What matters is not the exact numbers but how commonplace it is – and yet how extraordinarily varied. It’s one reason (chosen from around 139.74) that I detest the word ‘depression’. It’s a cheap, deceptive, clichéd kind of a word. I’ve mentioned that on here before more than once. But I pick up on it now because I’ve suddenly realised I’m in the midst of some significant anniversaries. October 2005: I was finally diagnosed, and started medication – and have been on various “happy pills” ever since, give or take. 10 years. A decade. I’m not trying to milk this, nor seeking sympathy. It’s simply that it’s a shock, really. Because survival has been a matter of one step at a time, one day at a time. So I can’t quite believe it’s now a matter of years. So I’ve decided to write about it a bit… as one or two have encouraged me to do. Because I know – I KNOW – it helps to have experiences shared for the sake of others in similar or earlier stages. It’s why Ruby Wax so wonderfully talks about being with “my people” when she is with others battling mental health issues. Obviously, it’s not been consistently grim – for much of the time, I have been able to function in work and ministry, without people necessarily noticing. Perhaps that was the medication. Perhaps it was the adrenaline that kept teeth gritted and deadlines met. But there have been some very dark times indeed. Some even quite recently. It’s just so darn unpredictable – and irrational. But here was precisely my problem: a lot of the time, people didn’t seem to notice. And why should they? I don’t blame anyone at all – it was because of my mask. It was 35 years in the development – so it is well forged, burnished and highly effective. So effective, in fact, that the true extent of my inner turmoil was completely hidden for a lot of the time. So people couldn’t peer in; and I wouldn’t speak out. Actually, I didn’t then have the vocabulary to use anyway. I certainly couldn’t use ‘depression’ – that simply seemed alien (it’s far too passive a concept). But I didn’t want to speak out either. Somehow, to have to ask for help felt fraudulent. A man thing? A boarding school thing? A clergy thing? Who knows? I don’t think I felt any stigma as such – after all, I have been involved in pastoral ministry for 20 years or so. I know in other places, people have faced this. But not me. It just seemed too unreal to put into words. Every attempt seemed to make it appear less than it was. Thus it would evolve in my head into something not worth bothering others about. And anyway, the moments when I felt better able to talk about it were usually the less bleak moments anyway (one forgets quite how piercing the cave’s darkness gets). Thanks. Honest and true. Someone recommended that book to me a few years ago, and since I have lent it to many many people, especially those I work with!! Looking forward to part 2! Thank you for being one of the few, the brave, a man who takes off the mask. Not only does it help you -it is helping many, many others out there whose mask is still glued on. There is power in being the Real You. Great that you’ve decided to speak out. I wrote a little book in the end, (https://www.facebook.com/pages/Jane-Newman) & since its publication am being invited to speak about it regularly, & people are SO amazed, & SO relieved to have their questions & struggles brought out into the open… by someone else!!! Blessings & keep SONbathing, in his welcoming, accepting, love. Having the vocabulary is so important. For me, that was a huge part of finally getting a diagnosis (because I took far too long to go and see a doctor). Being able to say that I had depression was huge. It gave me a way to say to people that something was wrong with me, something properly wrong that I took medication for, not just me being a bit pathetic. I didn’t feel like I needed to explain everything about what that meant for me, but at least I had something I could say. Now I do talk a bit more about the symptoms, to try to help people understand that it’s not just (or even primarily) about sadness. I talk about the chronic indecisiveness I suffered with (should I eat breakfast or go to the loo first could keep me confined to my bed for hours some days), the inability to pray because I could only cry, the insomnia, and so on. Not all the time, not to everyone, but whenever I think it might help someone else to hear it, or whenever I need to tell someone else about it. I’m glad you’re speaking up about it. I think it will help a lot of people, especially men, to hear your story.